Two U.S. teens from San Diego were discovered murdered execution-style at an apartment complex in Tijuana over the weekend. Christopher Alexis Gomez, 17, a senior at O’Farrell Charter High School in Encanto and Juan Suarez-Ojeda, a graduate of Ingenuity Charter School, were discovered along with an 18-year old friend from Tijuana in colonia Infonavit Lomas Verdes, according to local reports. Both Gomez and Ojeda traveled to Mexico to attend a party in nearby Ensenada on Friday and were due back the same night, according to family members in California. Early Sunday morning, the families were notified that the three were found dead at an apartment complex in south central Tijuana. 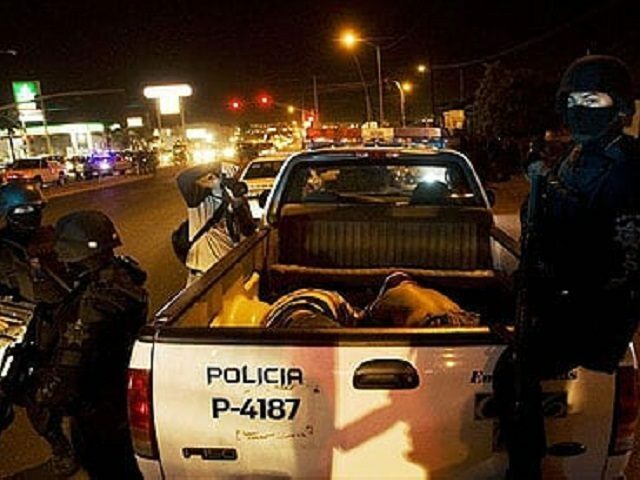 Breitbart News reported extensively about the raging cartel war in Tijuana which raises the record for homicides daily. As of Thursday, a total of 2,267 homicides were recorded, according to local media reports. Recently, Deputy Attorney General Jorge Alberto Álvarez Mendoza estimated that 98 percent of the most recent killings were tied to street level drug dealing. In October, Álvarez Mendoza acknowledged that only two percent of cases end in convictions. Breitbart News spoke with local law enforcement contacts who say that the main factor for cartel violence is the low risk of apprehension. Most experts acknowledge a very small number of criminals are responsible for the overwhelming majority of violent cases. It is believed there is a group of cartel gunmen carrying out the hits and there is a greater chance of being stopped by rival cartel gunmen than law enforcement. The bloodshed is generally related to turf wars involving Cártel Tijuana Nueva Generación (CTNG), aligned with El Cártel de Jalisco Nueva Generación, against the Sinaloa Cartel. Those involved in the killings are primarily low-level dealers, lookouts, customers, and enforcers. Many of the street-level dealers are targets of rip-crews looking for cash and drugs.